State-of-the-art finishing facility is the first in Mexico and Latin America devoted to television and cinema. MEXICO CITY—Cinematic Media, a full-service post-production finishing facility focused exclusively on television and cinema content, has launched in Mexico City. Located on the lot at Estudios GGM, the new facility offers dailies, look development, editorial finishing, color grading and other services, and aims to capitalize on booming entertainment media production in Mexico and throughout Central and South America. In its first project, Cinematic Media provided finishing services for the second season of the Netflix series Ingobernable. 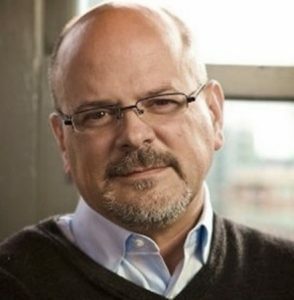 Industry veteran Scot Evans leads Cinematic Media as chief executive officer. He brings more than 25 years of post-production experience and has managed large-scale post-production operations in the United States, Mexico and Canada. His recent posts include Executive Vice President at Technicolor PostWorks, New York, Managing Director of Technicolor, Vancouver, and Managing Director of Moving Picture Company (MPC), Mexico City. Cinematic Media has been built from the ground up with a workflow modeled after top-tier facilities in Hollywood and geared toward television and cinema finishing. Engineering design was supervised by John Stevens, whose four decades of post-production experience includes stints at Cinesite, EFILM, the Post Group, Encore Hollywood, MTI Film and, currently, the Foundation. 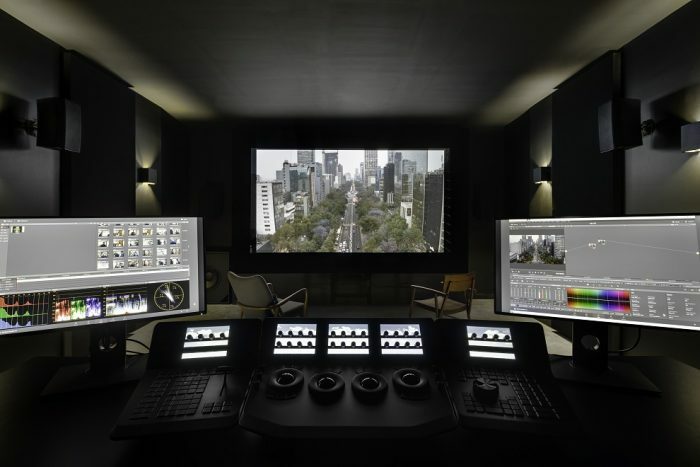 Resources include a digital intermediate theater with DaVinci Resolve, 4K projection and 7.1 surround sound, four color suites supporting 2K, 4K and HDR, multiple editorial finishing suites, and a Colorfront On-Set Dailies system. The facility also offers look development services to assist productions in creating end-to-end color pipelines, as well as quality control and deliverable services for streaming, broadcast and cinema. Plans to add visual effects services are in the works. Cinematic Media is the first facility in Mexico to feature high-speed connectivity via the private network Sohonet. It will be employed to share media with studios, producers and distributors around the globe securely and efficiently. It will also be used to facilitate remote collaboration with directors, cinematographers, editors, colorists and other production partners. Evans has assembled a support staff with deep and diverse experience. Managing Director Arturo Sedano will oversee day-to-day operations. He has supervised post-production for thousands of hours of television and cinema content in behalf of studios and producers from around the globe, including Netflix, Telemundo, Sony Pictures, Viacom, Lionsgate, HBO, TV Azteca, Grupo Imagen and FOX. Senior Colorist Ana Montano whose experience as a digital colorist spans facilities in Mexico City, Barcelona, London, Dublin and Rome. Producer and Post Supervisor Cyntia Navarro, previously with Lejana Films and Instituto Mexicano de Cinematografía (IMCINE). Her credits span episodic television, feature film and documentaries, and include projects for IFC Films, Canal Once, UPI, Discovery Channel, Netflix and Amazon. 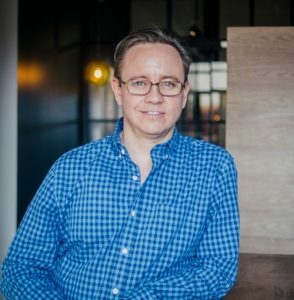 Chief Technology Officer Oliver De Gante, previously with Ollin Studios, where his credits included the hit films Chappie, Her, TRON: Legacy and The Social Network, as well as the Netflix series House of Cards. Technical Director Gabriel Kerlegand, a workflow specialist and digital imaging technologist with 18 years of experience in cinema and television. Cinematic Media is the only full-service post-production facility in Mexico focused exclusively on episodic television and motion pictures. We combine world-class talent, innovative workflows and superior engineering to help content creators fulfill their visions and meet global delivery standards. Located in Mexico City within newly-built Estudios GGM, Cinematic Media is an integral part of one of the largest and most sophisticated production centers in Latin America. We support projects through their entire lifecycle, delivering experienced guidance and media management during pre-production and production, and expert technical and creative service through each phase of post. We offer customized solutions. We tailor workflows and service packages to the budget, deadline and creative dimensions of the individual project. Our color specialists, editors, colorists, visual effects artists, QC technicians and producers bring deep, international experience and a passion to excel. We also feature high-speed connectivity through Sohonet allowing clients to connect, collaborate and share data effortlessly with studios, production partners and other stakeholders around the globe.